I really enjoy making custom moldings. I can make just about any shape, in sizes up to almost 7" wide. With either a drawing or a wood sample, I am able to make whatever shape the customer needs, or make an exact match for an existing molding, no matter how old or obscure. There is no need to settle for a standard production molding that is sort of like what you want. 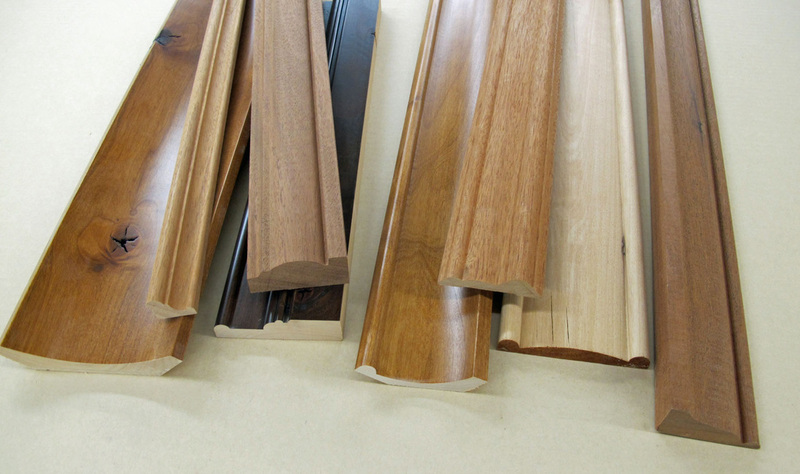 You can have new moldings that match, made from the species you want. The knotty alder crown molding on the far left in the photo is 6" wide.